Posted on February 23, 2017 by Mike Sonnenberg Posted in Iconic Buildings, small towns	. Delivering packages with drones seems really far fetched, but a century ago delivering mail to everyone in the united states seemed like an impossible task. Many small rural towns had a post office that was in a local general store, saloon, or inn. The farmers or ranchers would come into town and pick up their mail. In 1893 legislation was passed in the United State congress that required the post office to implement rural free delivery ( R.F.D). On December 3rd 1896, the post office in the town of Climax between Battle Creek and Kalamazoo was the first to start an R.F.D. route in Michigan. The letter carriers delivered the mail by bicycle and horse and buggy to the surrounding citizens. 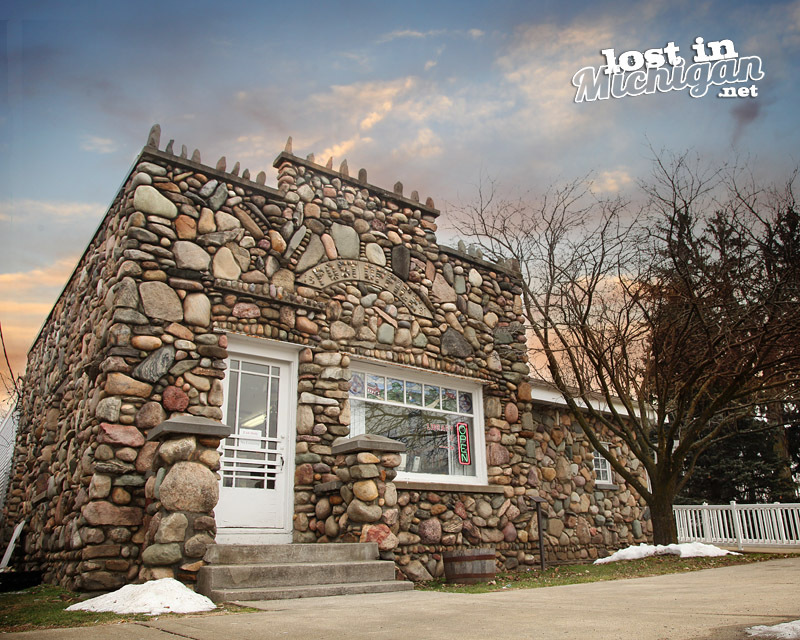 This is a pic of the old stone post office in Climax which is now a library. The local business that contained the post offices were not too fond of the new delivery system since people did not have to pick up their mail, and possibly purchase something at their business while they are in town. It’s strangely similar to the online vs brick and mortar store competition. who knows in a hundred year there will be something new, some sort of outer space colony delivery system and they will think what we do now was old fashioned.